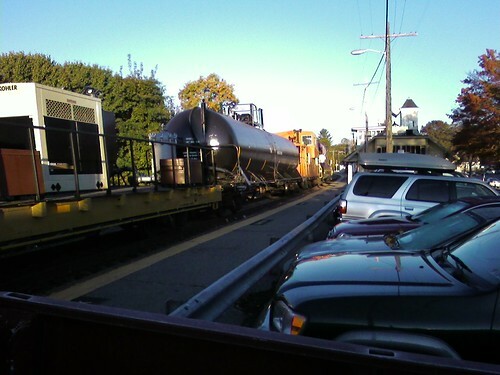 Hey guys, this morning I saw the switcher and a work extra, plus the caboose and a black tanker-looking thing, go thru Concord. it looked like they were cleaning the rails maybe? the rails were all slippery after they went through. 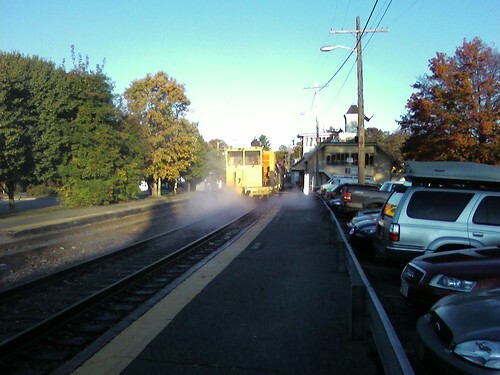 Were they removing dead leaves, or is this related to all the track work on my line? Last edited by concordgirl on Fri Oct 24, 2008 2:35 pm, edited 1 time in total. That was the rail washer cleaning the rails from those pesky leafs. Nice shote thanks for sharing. Farewell old friend thanks for the memories. That is one of their new ones right. I read about it in the paper. 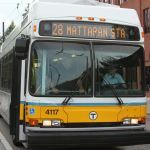 The MBTA custom designed it. Good catch. Both cars are lettered MBTX 30.
know which route it will do first. Another news flash - looks like the 1015 has been added to the Power Wash Train. Saw this in W. Concord kicking up a steam storm just west of Comm. Ave when we came thru on the inbound. Is 1015 though being used for this one, or do they now have the second one (I thought someone said it had been ordered and delivered already?) and it's going to run a second duty? 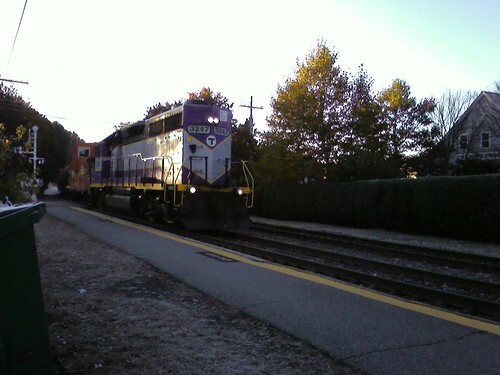 Saw this friday on the newburyport line. Anyone know if they will be washing the rails on the south side? 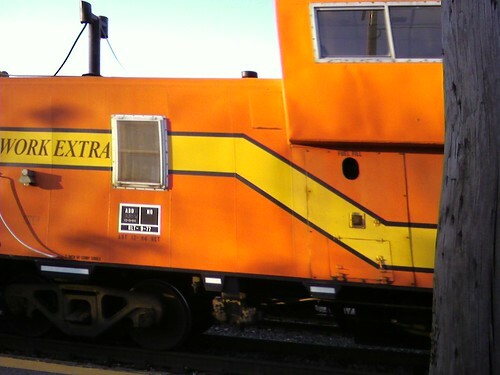 GP40MC1118 wrote: Another news flash - looks like the 1015 has been added to the Power Wash Train. The last time I saw 1015 on train 465 at Lincoln it was smoking, and "smelled like a barbecue" according to my mom! We get something new on the Northside for a change!!!! LOL! Hoping for a rebirth of the Screamer fleet. ST214 wrote: We get something new on the Northside for a change!!!! LOL! Well they'll probably bring the old one up here and transfer the new one to "hollywood"!